Bathstore has a pitch process underway for a PR agency to handle its first combined consumer, trade and corporate PR brief. The bathroom retailer is seeking a new PR agency as its incumbent Bright PR has declined to repitch. Bright PR has worked for Bathstore for four years. Bright PR director Sonya Corrigan said that the agency is declining to repitch because they had ‘achieved everything within our remit and felt we’d gone as far as we could within the brief’. The brief is worth six figures and pitches are expected to take place on 10 May. The brief is being handled by AAR, which has already developed a shortlist. This is understood to be the first time that Bathstore will use an agency for corporate PR. Bathstore and AAR declined to comment on the pitch process. 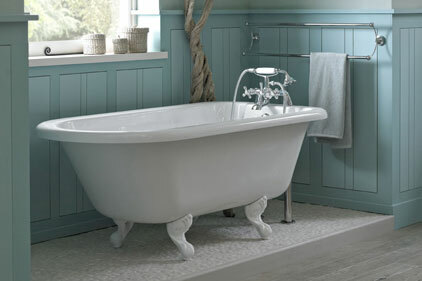 Bathstore, which sells bathroom suites, furniture and accessories, has over 160 stores across the UK. Bathstore is owned by global buildings material company Wolseley Plc, which also owns brands Plumb Center and Build Center in the UK.